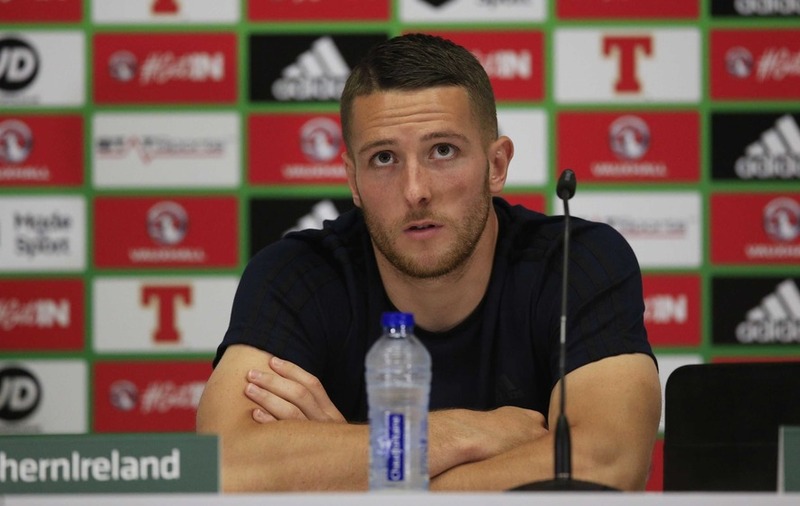 WORDS followed actions for Conor Washington - he's ready to fill in for Northern Ireland's star striker Kyle Lafferty, if required. 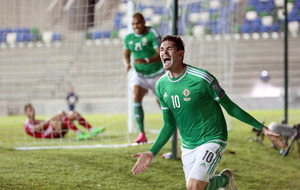 The QPR forward has already shown his worth, scoring on his debut against Slovenia and again versus Belarus, so it's no surprise he expresses confidence about his ability to lead the attack: "I'm 100 per cent ready, have been for a couple of weeks. The training's been good and intense," he said. "I didn't play too many games towards the end of the season [after his move to QPR in January], but I played in the Belarus friendly and came on against Slovakia. I'm definitely 100 per cent ready to go. It's gone well, it's nice to be involved in some good results especially. To carry on the unbeaten run and, as a striker, it's always nice to chip in with some goals. It's been good so far, but I'm looking to build on that now." 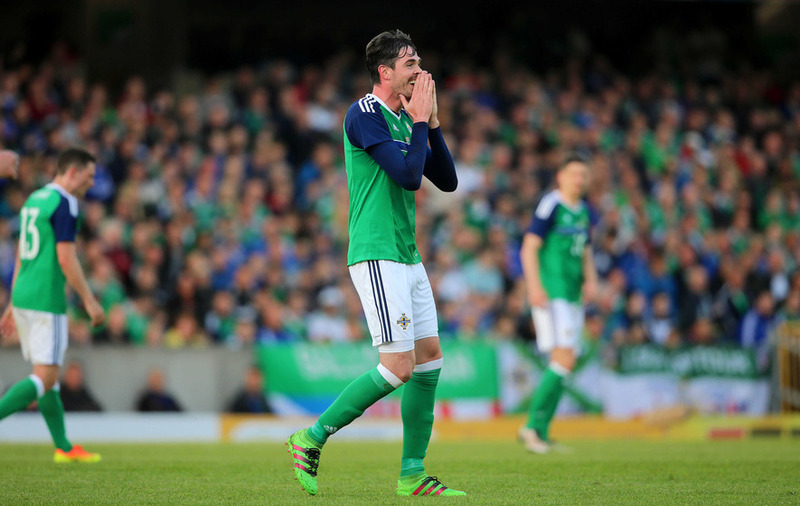 Concerns will continue over Lafferty, who limped out of training on Tuesday with an apparent groin strain, of which Washington said: "I didn't really see it, it was in the middle of possession, so it was pretty frantic anyway. "We're all led to believe that he's okay. As soon as you take a little knock in training, you want to step out and assess it. I think he should be fine." Born in England and eligible for Scotland through his mother, the 24-year-old insisted the NI connection through his paternal grandmother always took precedence: "It was 100 per cent what I wanted to do. I've known I've been eligible all of my life, although it's not something I thought about when I was 19, 20 when I was in the Conference. 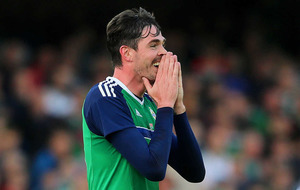 "My agent knows the manager [Michael O'Neill] really well, he told him about my eligibility and, luckily enough, I got the call-up." As he alluded, international football wasn't really on his radar four years ago, indeed he struggled even to watch all the Euro 2012 games: "I was being a postman most of the time and then, during the tournament, it would have been without a pre-season for me. "I would have been working, going to the gym, playing golf and getting myself ready for the new season, really. Watching the games, if I could stay up that late. There were some early mornings. It's a very surreal thought to think back four years ago to where I am now." That experience of not even being a professional footballer then - he only signed for Newport County for £5,000 in October 2012 - sticks with him: "I value it. It's made me the person I am today, kept me grounded. It's one of those tags that is going to stick with me forever, but it's not the worst one in the world. I've come a long way and I'm enjoying the journey." 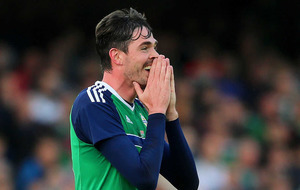 This weekend, he'll travel with Northern Ireland to Nice to take on Poland and he knows that will be a step up against the top scorers from the qualifying process: "It's going to be a tough game, they've got top players playing week in, week out in the best leagues in the world. 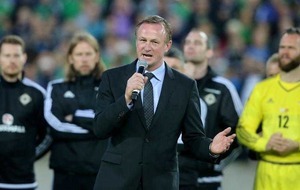 "Every game at the Euros is going to be like that. It's obviously a test we're relishing and we're looking forward to going there. Robert Lewandowski has had a great season, has done for a few seasons now. He's their main threat as well, it's something we've got to counteract. You've got to do that in tournaments like this." The Poles only managed a goalless draw with Lithuania and lost 2-1 to the Netherlands in their last two friendlies, but Washington weighed up those scorelines carefully: "The last two results haven't been ideal for them coming into the tournament, but they've got a really good side, they will want to bring their qualification form into the tournament. "You can't read too much into friendly results, but we will be trying to take inspiration from the performances of teams who got results against them". Of course, it's not just Washington who's new to tournament football and he says the squad loved the reception they received from locals at their training centre near Lyon: "It was great. It's been a surreal week for us. This is our first time at a major tournament - it's been brilliant. "The facilities, the hotel, the training ground, the media centre, it's been unbelievable and it's nice to get the local community down and for them to show their support and for us to show our appreciation."